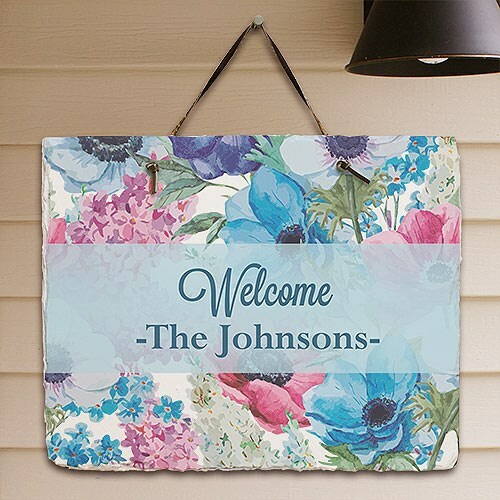 Personalized Spring Time Flowers Welcome Slate Plaque. Welcome your family, friend to you very own Spring time plaques as have it hanging outside your door. This plaque has a spring time design to it with flowers and a garden feel to you. If you love spring time or have a garden you have to have a welcome sign in the front of you door or backyard garden. (Note: Slate plaques have a rough, natural slate look.